The true Cadenza handle relies on a blade which is angled slightly as it inserts into the gearbox of the multi-point lock. 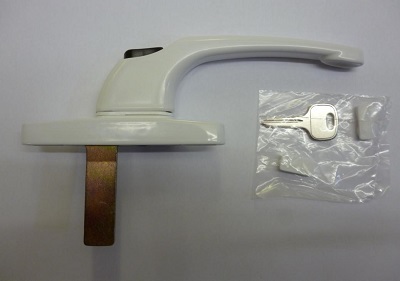 There is also a version available on the market that uses a flat and straight blade and if this is used in the angled multi-point lock it can lead to failure. Customers are advised to check carefully the details of both products.